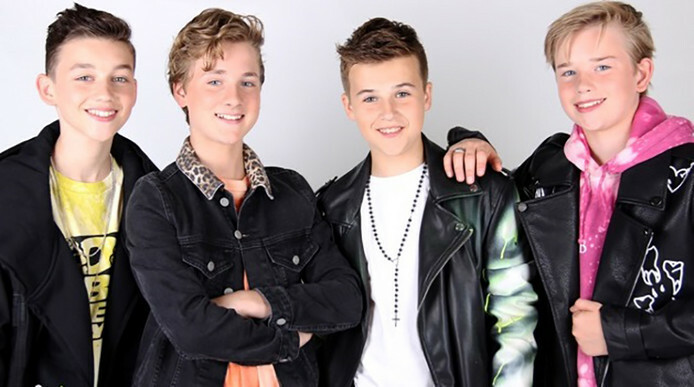 The boyband Fource have won Junior Songfestival 2017 and will represent the Netherlands in the Junior Eurovision Song Contest 2017 in Tbilisi. This year marked a return to a televised selection for the first time since 2015. Other changes to the format included contestants performing cover songs instead of original songs and 100% jury vote. The jury, made up of Sharon Doorson, Tim Douwes and Kim-Lian van der Meij, chose Sezina and Fource to advance to the final duel, leaving Montana in third place. In the second round, Sezina and Fource reprised their semi-final performances. The jury chose Fource as the winners. Before the final results were announced, all of this year’s contestants reunited to perform “Later als ik groter ben” by BLOF. Fource are the first boyband ever to represent the Netherlands in the Junior Eurovision Song Contest. They are also the first boys to represent the country since Ralf Mackenbach in 2009, who went on to give the Netherlands its first, and so far only, victory in the Junior Eurovision Song Contest. Fource will now begin preparations for Tbilisi and record their entry for the contest, which will be revealed at a later date. The Netherlands debuted at the first edition of the Junior Eurovision Song Contest in 2003. To date the country has only won the competition once. Their only victory came in 2009 when Ralf Mackenbach performed “Click Clack” scoring a total of 121 points, this was just 5 points more than runners-up Armenia and Russia. The Netherlands narrowly lost the contest in 2011 when Rachel performed “Teenager”, she lost by 5 points. The Netherlands worst result came in 2015 when Shalisa finished in 15th place out of 17 competing countries.